The Aegea's hood has central ribbing stretching up to the roof. The single frame grille melds into the light clusters. 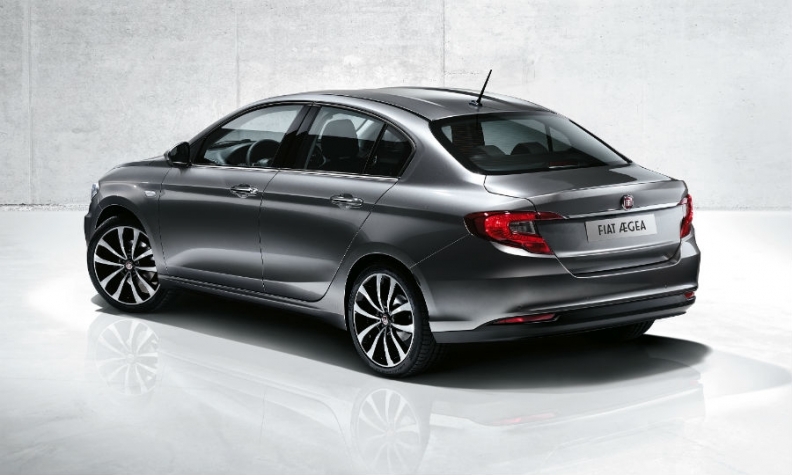 The sedan will be offered with two gasoline and two diesel engines with manual or automatic transmissions and with power ratings of between 95 hp and 120 hp. The most fuel efficient diesel will have fuel economy of less than 4 liters of fuel per 100km, comparable to the Fiat Panda minicar, Fiat said. Equipment will include an infotainment system with a 5-inch color touch screen, Bluetooth, along with audio streaming, text reader and voice recognition as standard and an optional rear parking camera. 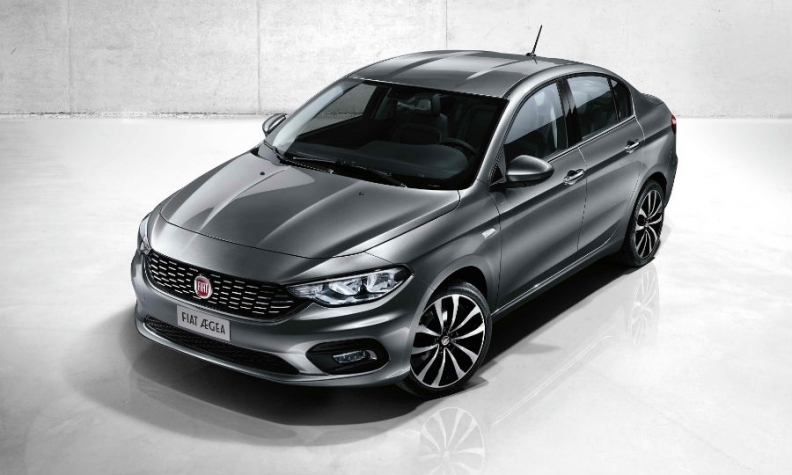 Fiat has not said how many of the units of the new compact range it plans to build. Last November, Tofas, said it will build a combined 700,000 units of the range over the life cycle of the vehicles until 2023, mainly for export. IHS Automotive predicts that production of the three body styles will peak at 124,000 during 2018.